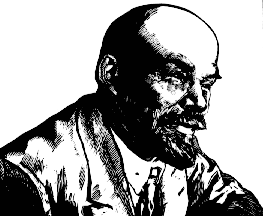 Nikolai (Vladimir) Illich Ulyanov Lenin was a Russian revolutionary and statesman who constructed the Soviet Communist state. His pamphlet What is to be Done? published in 1902, has been described as the true origin of modern communism. The major work, Imperialism, the Highest Stage of Capitalism completed in 1916, a year before the revolution, sought to explain why certain Marxist prophecies had not taken place. In this book Lenin emphasized the role of financial monopolies and the need for capitalists to maintain their profits by forever conquering new markets. Imperialist wars would only end when the capitalist system ended. Furthermore, industrialized workers had not developed their proper class consciousness and feeling of oppression because the capitalists shared some of the profits from these new markets (the colonies) with them.